Increased Accuracy for LED Lighting Measurements! 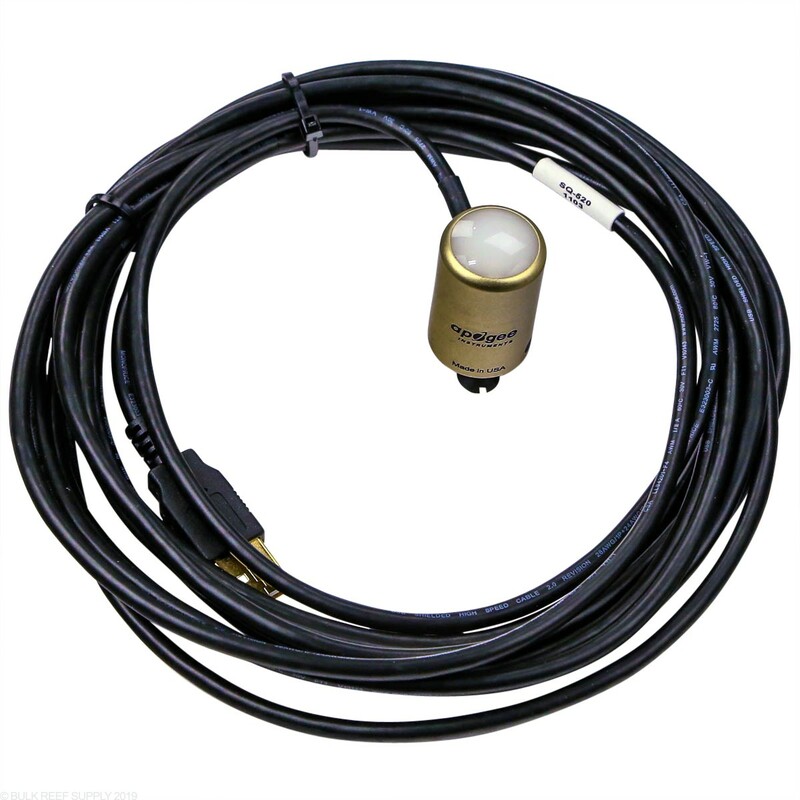 The Smart Quantum SQ-520 PAR Sensor is a USB powered sensor that will hook up to any PC or MAC allowing you to use your personal computer instead of an expensive dedicated monitor with the included 15 foot long USB cable. 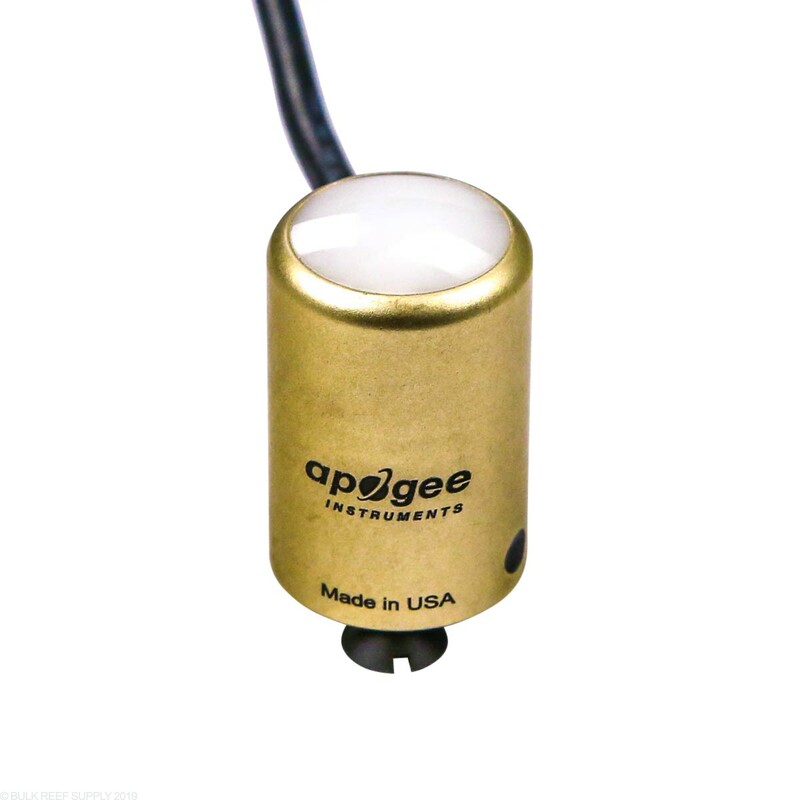 Hooking a sensor up directly to your computer allows you to easily log readings within the Apogee software or any application of your choice. The SQ-520 Par Sensor has been specifically designed to give reliable and repeatable readings under LED lighting. With an increased spectral range, and larger sensing optic you will get more precise readings with all types of lighting systems. 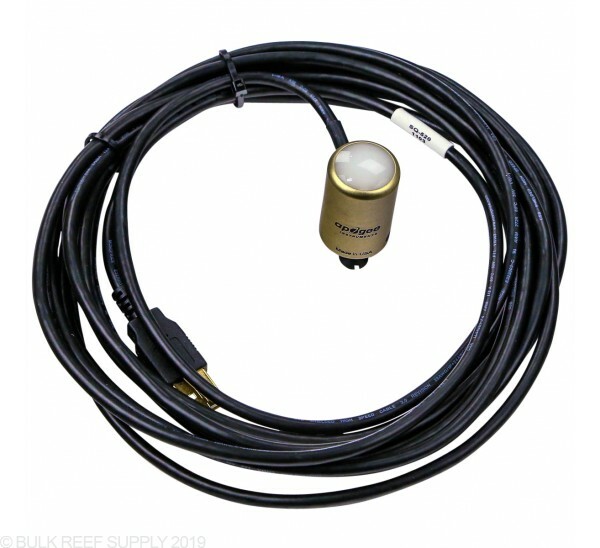 If you do not have a computer near your tank, don't worry, the SQ-520 can store up to 10,000 measurements internally and viewed later when powered by a stand-alone 5v USB power adapter like a battery pack or wall adapter. 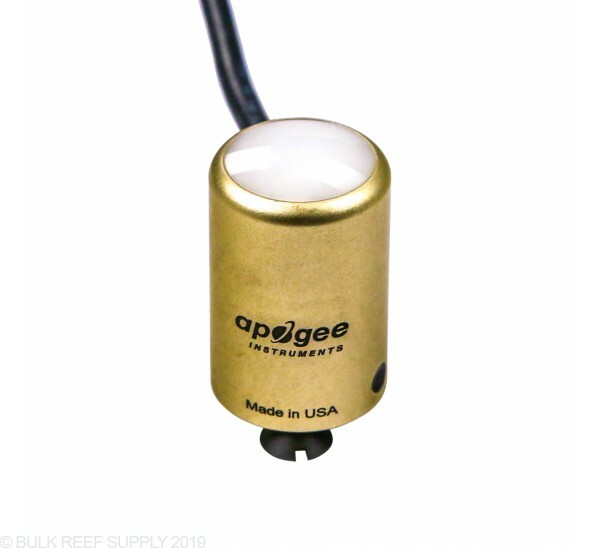 Apogee has calibrated the SQ-520 with electronic lights making them perfect for any type of aquarium lighting. Calibration will be stored within the firmware of the sensor. 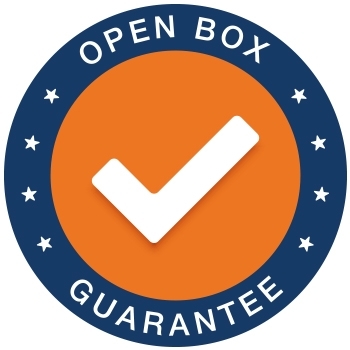 The sensor has a housing designed to be fully weather-proof and self-cleaning allowing years of service with minimal maintenance. 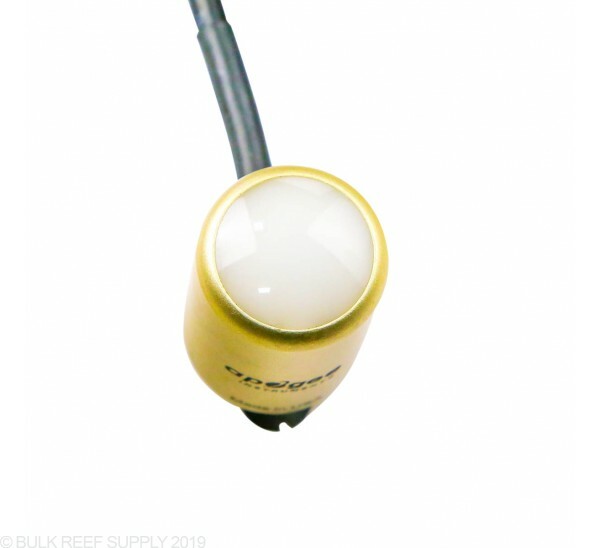 PAR (photosynthetic active radiation) is the easiest way to measure the available light for corals consume and use for photosynthesis. With LED lights giving more and more control to the consumer the best thing is a PAR meter that is affordable and simple to use. With PAR readings you can monitor light degradation, clarity of the water, and intensity of the lighting schedule. Most LED lights out on the market today have more power than what your corals can take and will quickly bleach out from too much light. By having a PAR meter to monitor the light intensity you will have tangible numbers to go off of, instead of just guessing. We personally like inputting all of our reading into a spreadsheet to make a chart of light output and overlay the readings on a photo as well. Having a picture with your tanks PAR levels is very handy to have when placing new corals in your tank.